Around 1am Saturday night, the IAF conducted a series of attacks in Gaza that continued for 48 hours. 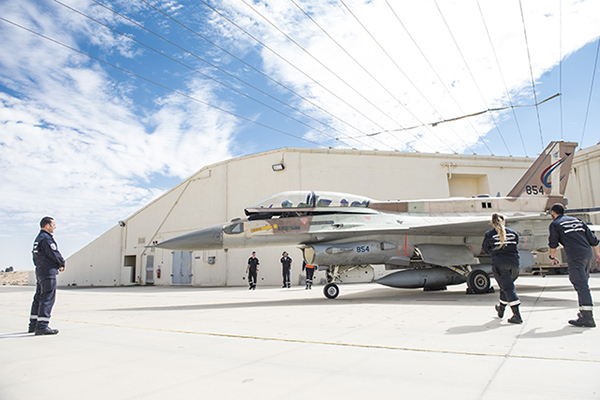 The 201st (“One”) Squadron, which operates “Sufa” (F-16) aircraft, raised their combat readiness the evening prior to the attacks. “We performed 10 sorties as part of the IAF’s series of attacks”, said Lt. Col. S’, commander of the squadron. “The weather was cloudy and challenging. We made sure that the targets were clear of uninvolved factors. Attacking an urban area is very challenging. It requires precision in order to prevent unnecessary damage”. “During the last 24 hours, we have been operationally active”, said Maj. Yair Avrahami, the 201st Squadron’s Technical Officer. 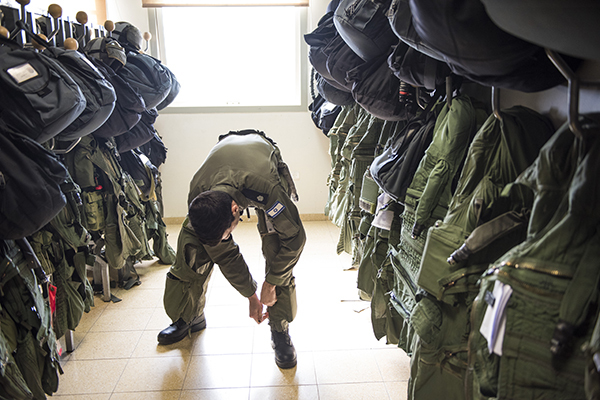 On Friday evening, the technical department began to receive instructions from the IAF headquarters regarding rising their combat readiness. “All of our combat alert crews were called”, added Maj. Avrahami. Throughout the night, the event evolved into a series of attacks handled by the small crew of technicians that was on call. Later on, more technicians were called for duty. “At around midnight, the first two aircraft took off. They dropped four bombs and returned to the squadron”, explained Maj. Avrahami. “We scrambled aircraft to many missions. It was a very intense night”. “Although it wasn’t unusual activity for the squadron, there hasn’t been a series of attacks conducted by the IAF like this since Operation ‘Protective Edge’”, added Lt. Col. S’. “During last month’s training exercise, we drilled missions like these. Therefore, the technical crews and aircrews were prepared. It went smoothly for us”. “People here understand that they are protecting their homes”, said Lt. Col S’ and Maj. Avrahami added: “We are aware of what is going on in the Gaza Strip and understand the significance of our work. All of the squadron’s service members work together. Everybody is doing his or her job in order to successfully complete the mission and meet the highest technical standards to ensure the aircraft’s safe return”. Around 1am Saturday night, “Iron Dome” battery combatants were on ready alert when they were suddenly scrambled to the battery. “We reviewed the events and immediately began to intercept numerous rockets”, recalled Maj. Daniel Malichi, Commander of the “Iron Dome” weapon system battery located in the Gaza envelope. “Our combatants are proudly defending their homes. Our goal is to prevent any damage on our side”. 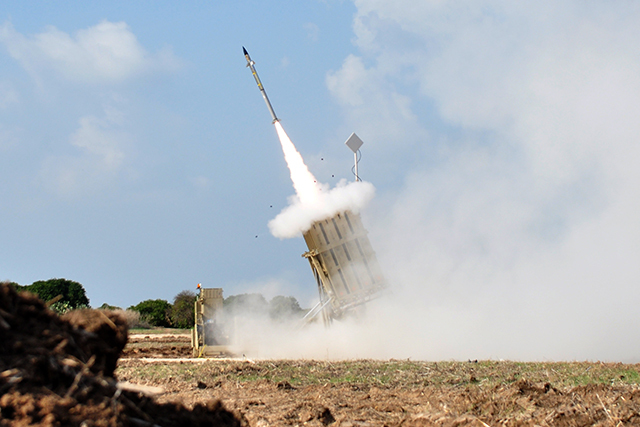 “There were intelligence warnings regarding possible launches from Gaza, and we were prepared for any scenario”, shared Lt. Sean Farber, Deputy Commander of the “Iron Dome” battery. “As the targets appeared on the IMC’s (Interception Management Center) screens, we stayed professional, calm and focused”. 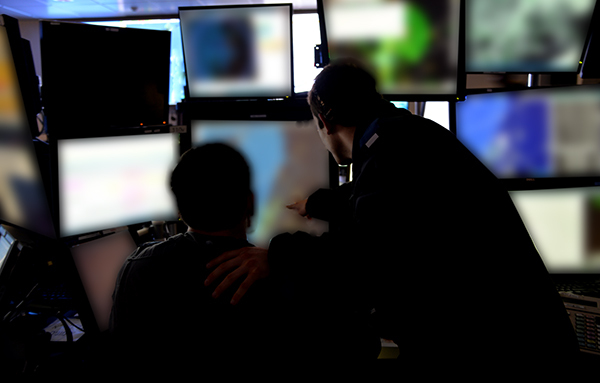 The ICM is manned 24/7 by two interceptors, a systems officer and a IMC commander. “The system is very clever and shows the targets moving towards Israel’s skies. The IAF’s Control Center transferred over its policies and we decided what to do with the target”, explained Lt. Farber. “We work together with the batteries deployed in the southern theatre”. After the interception, the team debriefs and draws conclusions. “We have the option of knowing if our interception was successful and the location, angle and direction in which the next projectile will be launched. We study every launch and continue preparing for every threat”. The southern ATC (Air Traffic Control) Unit, which is responsible for Gaza’s airspace, was also prepared for the theatre to heat up. “We began calling the unit’s service members to come in from around Israel, while the members on call started receiving orders”, said Maj. R’, commander of the unit’s Control Department. 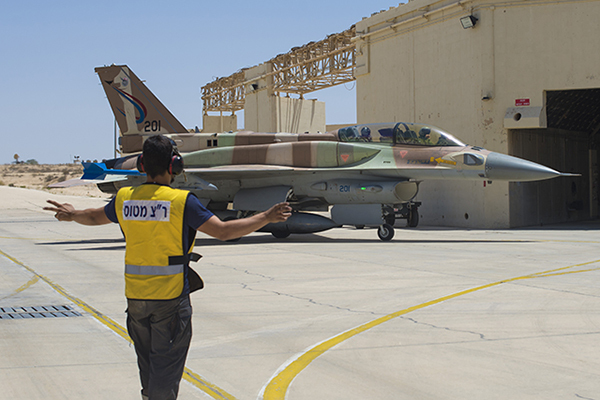 “We had to understand the IAF’s orders and to integrate all of the missions: reconnaissance missions, UAV (Unmanned Aerial Missions), helicopter missions and fighter jet strikes that required precision in order to prevent damaging uninvolved factors. Some of the challenges we faced were challenging weather, synchronizing attack missions, prioritizing targets and assisting the control stations. We stayed on ready alert throughout the entire day. The unit’s high level proved itself”.